We are happy to announce that vaporizers can finally be purchased from our Bangkok Warehouse again, with the DynaVap VapCap M 2018 Edition available for immediate purchase in Thailand. 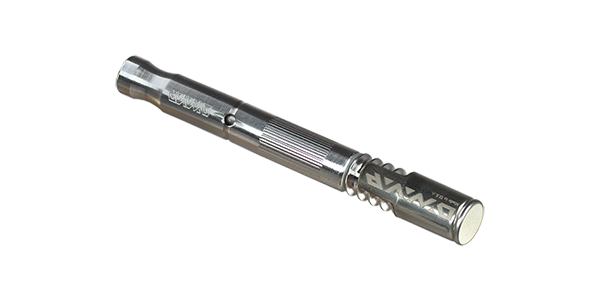 The DynaVap VapCap M is small, discreet and incredibly efficient. It uses convection heating to extract the active compounds of your herb blend and the vapor can be tailored to your preference by adjusting heating time and draw speed. The DynaVap VapCap M does not rely on batteries. Instead, a torch lighter is used to heat the patented VapCap until it clicks, after which vapor can be inhaled. This affordable and ingenious vaporizer easily competes with vaporizers four times its price and delivers pure and potent vapor. Please visit our Bangkok Warehouse to see what else we offer. More vaporizers will be made available in Thailand throughout the year. Hi! We accept Credit Card, PayPal, Local Bank Transfer and Bitcoin. If you wish to pay with cash, you could deposit cash into our bank account at any local branch. At this moment we do not accept Cash on Delivery however.